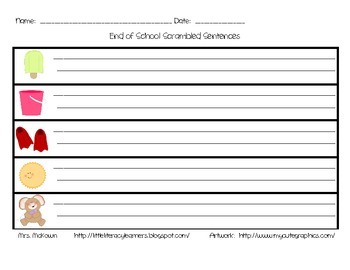 This download includes 5 sentences, all about the end of school or summer vacation! 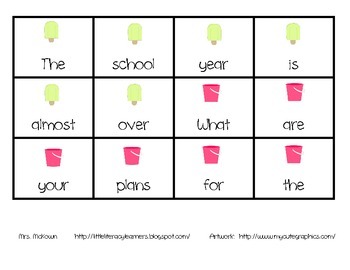 Simply cut each sentence apart into individual words for students to unscramble and place in the correct order so that the sentence makes sense. The students then record the sentences, using proper capitalization and punctuation on the included recording sheet. 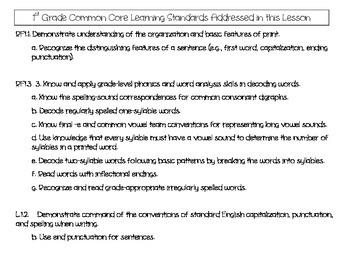 The first grade Common Core Learning Standards that are addressed in this lesson are also included.